Jam Music Lab is very happy to welcome Rex Richardson on board of the university. 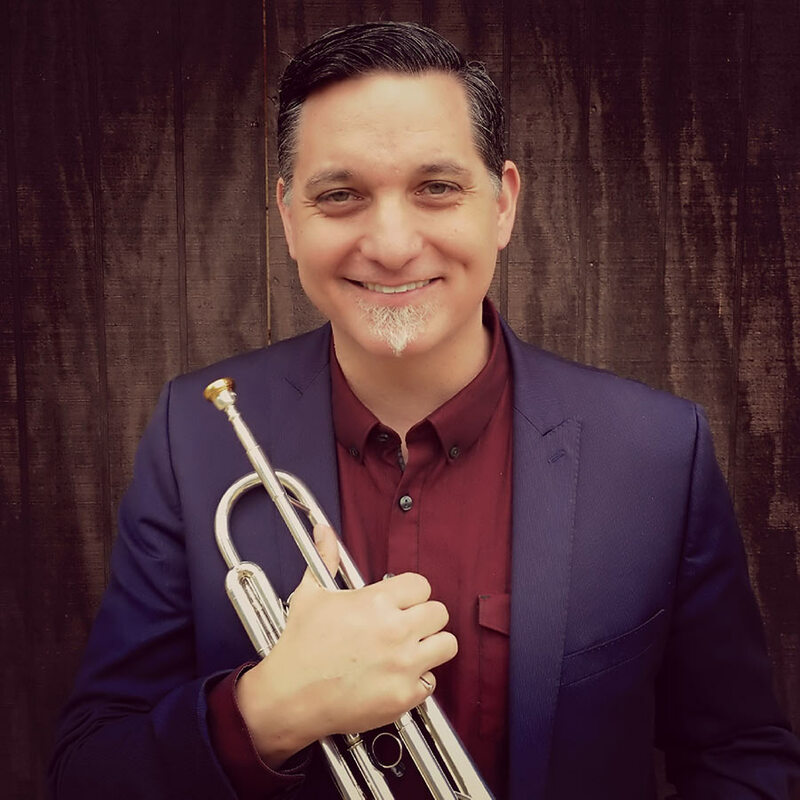 As an International Tutor in Trumpet, Rex Richardson will teach workshops and master classes and will enrich the excellent lineup of our trumpet class lecturers Thomas Gansch, Daniel Nösig and Aneel Soomary. With their expertise they offer students a holistic approach, while always maintaining an acute awareness of the current professional realities. Hailed in classical circles as “among the very best trumpet soloists in the world today,” (International Trumpet Guild) “One of the finest virtuosos of our time” (The Brass Herald) and in jazz as “a standout soloist with the power, range and flexibility to rival Freddie Hubbard and Woody Shaw,” (DownBeat Magazine) Yamaha Performing Artist Rex Richardson was named the 2008 Brass Herald Personality of the Year. A veteran of the acclaimed chamber ensemble Rhythm & Brass, jazz legend Joe Henderson’s Quintet and Sextet, William Russo’s Chicago Jazz Ensemble, and the Brass Band of Battle Creek, known as the world’s “Rolls Royce of Brass Bands” (Brass Band World), he stays busy as a headline artist at international brass and jazz festivals and as a soloist with orchestras, concert bands, brass bands and jazz ensembles on five continents. These ensembles have ranged from the Phoenix Symphony to the U.S. Army Field Band, and from England’s Fodens Brass Band to the U.S. Air Force’s Airmen of Note Jazz Ensemble. Style Weekly called Richardson “One of the world’s most engaging and astonishingly versatile trumpeters.” A tireless champion of new music and an advocate of improvisation in classical as well as jazz settings, he has presented the premiere performances of genre-bending concertos by Peter Meechan, Anthony Plog, Doug Richards, David Sampson, Andy Scott, James Stephenson, Allen Vizzutti, and Dana Wilson in over twenty-five countries on five continents since 2006. Richardson’s nine solo recordings, including the 2010 release Magnum Opus: 21st Century Trumpet Concertos are all released on Summit Records. His most recent, Freedom of Movement: 21st Century Trumpet Concertos, featuring the new works by Plog, Scott, Stephenson and Vizzutti, was released in May to rave reviews. Richardson has degrees in anthropology and music from Northwestern and Louisiana State and has taught at Virginia Commonwealth University since 2002. He served as International Tutor in Trumpet at the Royal Northern College of Music in Manchester, U.K. from 2012-2015. Studiere Deine Musik - Die Master Studien am JAM MUSIC LAB sind projektorientiert.